Intercollegiate Soccer Association ofAmerica Player of the Year, and one of the three finalists for the Hermann Award. He was a member of the USA National “B” team and the U23 National Team. He competed in the 1993 World University Games in Buffalo. 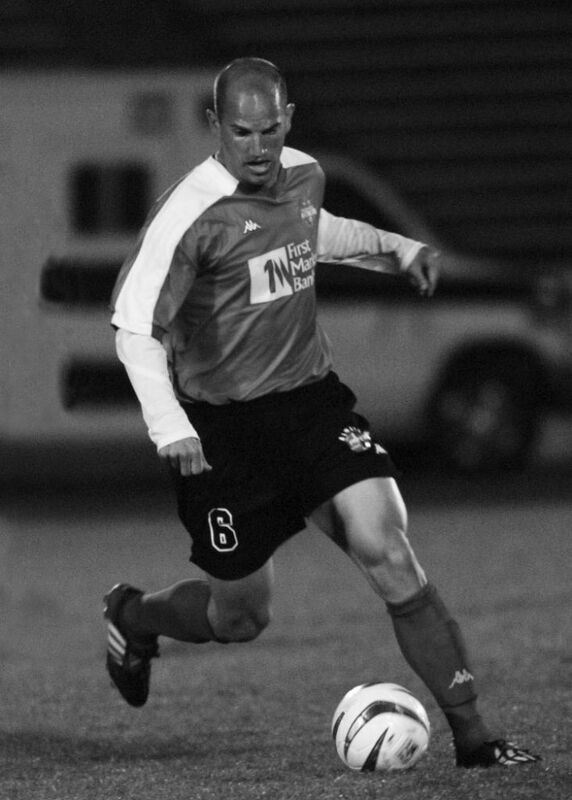 As a professional player, Rob competed with teams in the NPSL, APSL, MLS, and the USL. He spent most of his career with the Richmond Kickers helping to lead them to the the 1995 US Open Cup Championship and the 1995 USISL League Championship. In 1996 he scored the first two goals in New England Revolution franchise history. Upon his retirement from the Kickers in 2004, Rob held the club record for career goals, career assists, career points, and matches. He continues to be involved with the Richmond Kickers as a coach and a member of their Board of Directors. Rob also serves on the leadership team for Richmond United (a collaboration between the Richmond Kickers and the Richmond Strikers) which oversees the US Development Academy and ECNL programs for the Richmond region.